Local health and university professionals have been recruited to promote Philadephia as a site for professional gatherings. The main exhibit floor of the 2005 BIO gathering at the Philadelphia Convention Center. Almost 19,000 attended that gathering. The Philadelphia Convention and Visitors Bureau has revived one of its ideas that has helped the hospitality industry capitalize on the region's reputation as a center for medical and pharmaceutical research. The bureau's new Life Sciences Congress is enlisting the help of local professionals from pharmaceutical companies, biotechnology firms, hospitals, medical schools and universities to sell their colleagues worldwide on holding conventions and meetings in Philadelphia. Already, about 33 percent of large conventions and 42 percent of all business and professional meetings in the region annually are health-care-related, largely because of the industry's presence here and the effort made to host industry meetings since the Convention Center opened in 1993, officials said. The Life Sciences Congress has recruited an unpaid advisory board of 30 executives from the health-care field and educational institutions, and hired a full-time director, Kathleen M. Otto, former executive director of the Global Interdependence Center, another Philadelphia nonprofit. The work they will do previously was handled by two similar but smaller convention bureau divisions, the Health Care Congress and the Education Congress. The new organization has been expanded to include leaders of companies and other organizations in Delaware and New Jersey, Otto said. "There's no other city in the nation that has this richness . . . of medical schools, venture-capital firms, the pharmaceutical industry, and the biotech industry," she said. "There's a fertile environment here. We need to get the word out." The name of the division itself reflects a new emphasis on biotechnology, a research-and-development field that has exploded since the early 1990s, Otto and other bureau officials said. The decision to expand the work of the health-care and education groups flowed out of Philadelphia's hosting BIO 2005, the Biotechnology Industry Organization's largest annual event, which attracted almost 19,000 scientists and venture capitalists from around the world. By recruiting leaders of the region's biotech companies and research schools, including the University of Pennsylvania, Drexel University and Temple University, to serve on the advisory board, the bureau is trying not only to attract conventions but also to prompt biotech companies to think about moving to the region, bureau president Tom Muldoon said. Philadelphia may have a hard time getting the annual BIO gathering to return. Last year, the organization turned down the city as host in 2010 or 2011, primarily because the event has grown too large for even an expanded Convention Center to handle, officials of the group said. The project to expand the center from 13th Street to Broad Street, between Arch and Race, is scheduled for completion in late 2009. 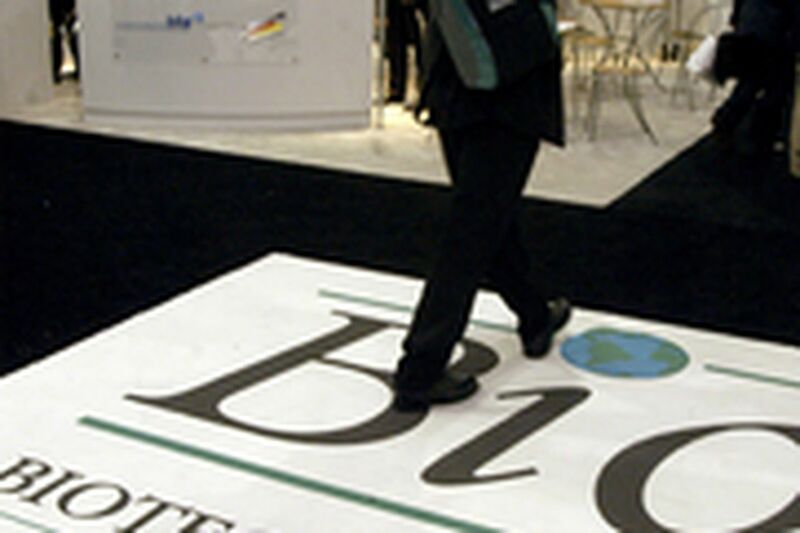 Philadelphia will continue to apply to host BIO conventions in 2012 and beyond, Muldoon said. Whether it can get BIO to return or not, the bureau has identified more than a dozen other large organizations whose big conventions may be recruited with the help of the board members of the Life Science Congress. Among those on the list are the American Association for the Advancement of Science, the International AIDS Society, and large professional societies for cancer researchers, dentists, dermatologists, heart specialists, hematologists and urologists. The board met for the first time last week, over dinner at the Four Seasons Hotel, and had what member Fritz Bittenbender, corporate affairs director of Cephalon Inc., described as "a very robust discussion. What came out was a sense we really are a global leader in this area. . . . All we have to do is tell the story." Another board member, RoseAnn B. Rosenthal, president and chief executive officer of Ben Franklin Technology Partners of Southeastern Pennsylvania, said all were urged to contact colleagues in their fields who may hold positions of influence in the professional societies. "We all went away with our marching orders," she said, to find out "who knows who in these organizations, so we can help them understand why they should consider having a Philadelphia meeting."